Increase the drama and send that special someone two dozen premium long stem pink roses. 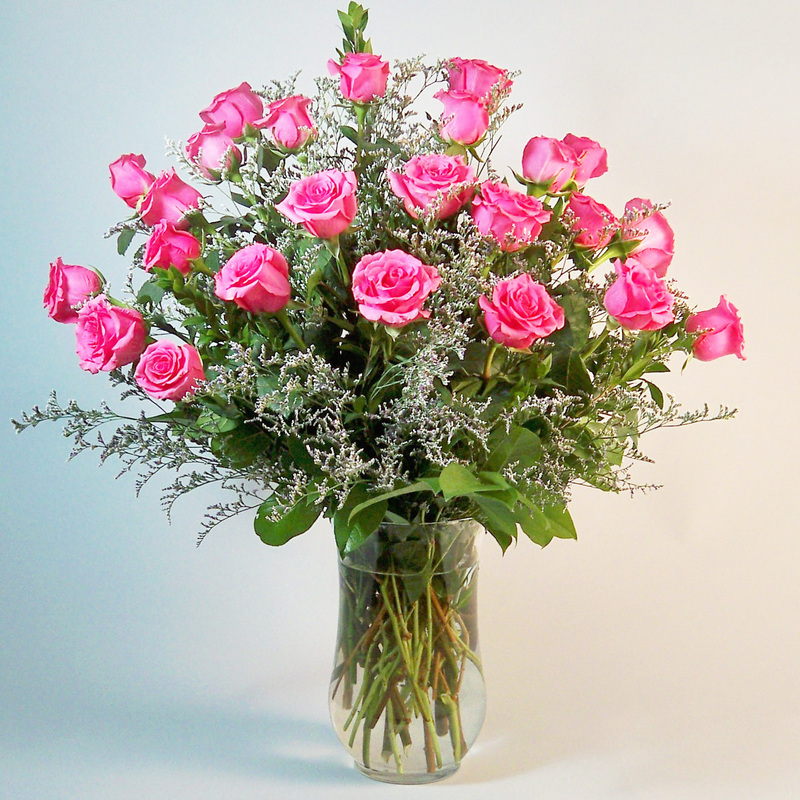 A magnificent display of pink roses will create that “Wow” factor you want to achieve. Standing 24” tall and 18” wide. This is a very full arrangement of roses.